I purchase the model 3246 which comes with multiple sensors on temperature, barometer, digital compass, altimeter. The watch is solar powered, water resistance 10bar, world time and so on. It is made in Thailand. The user manual is very thick due multiple languages versions. The control and buttons are in logic arrangement. It should a good tool on outing and oversea self-guided touring. The time for delivery is very reasonable and the watch is well protected by the multiple layers packing. Let me know Qxpress Singapore`s pick up number or tracking number. If you didn`t send watch, cancel my order. Kindly ignore the shipping notification (if any) that may have been sent to you earlier. Our system designed to auto generate a tracking number, update buyer and print out the shipping label for our packer once we received your payment. Our logistic personnel has just informed me that there are some evident scratches on the watch surface. We check all our watches before shipment to prevent any unhappiness and inconvenience to the buyer and negative feedback for us. All our packers are well trained and properly instructed not to ship defective items. We have tried our best to find a replacement from our supplier, but unfortunately our supplier run out of stock. 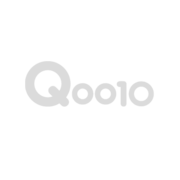 You may request an order cancellation in Qoo10, and we will accept it. The full refund will reflect to you soon as we accept the cancellation of order.